Home Computers How Luke Survives Long Drives! How does Luke survive looooooong drives in the car? By watching online videos of himself of course on his Mac. 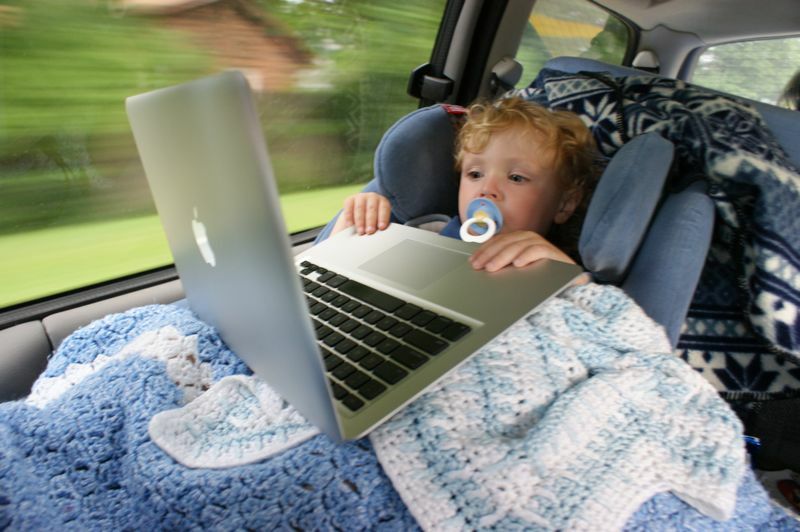 That is, when daddy isn’t borrowing Luke’s Mac to do e-mail, twitter, or make videos of Luke while driving. 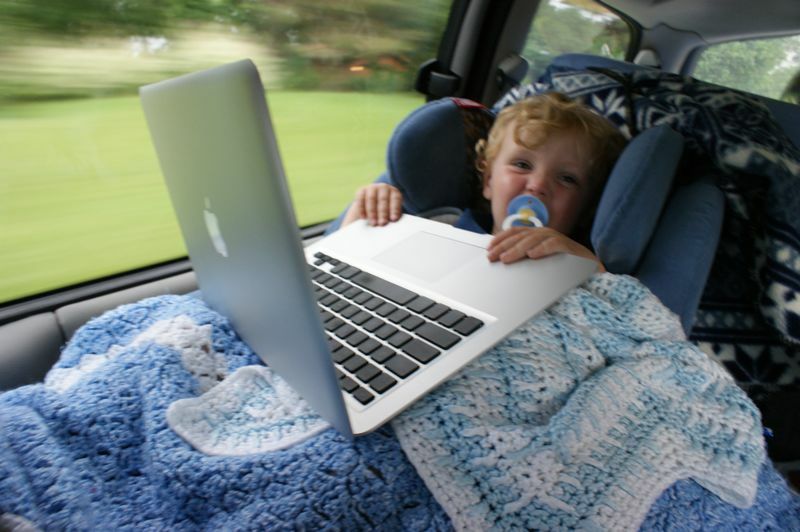 (well, while mommy is driving that is!) But we are finally home and hitting PUBLISH as we pull into the drive way! Yippppeeeee! Help Us Plan the Next Kid U!